The portable console NVIDIA Shield 2 could arrive on July 22. After the scarce success of the first portable console of the Brand, the Shield NVIDIA, the manufacturer would apparently decide to completely change its mentality for the successor, which will arrive on the 22nd of this same month of July according to the main rumors that circulate around the web. 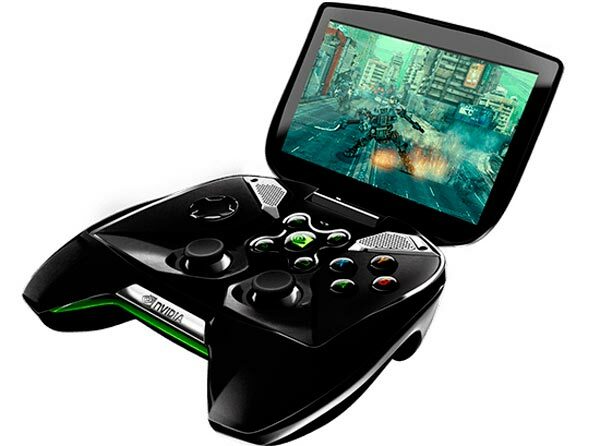 This new mentality of NVIDIA for its Shield 2 video console would convert it in a convertible 2 in 1 tablet, that is, it will be a Gamer tablet as well as a notebook. These new rumors that circulate around the main gossipers of the web, claim that the “Shield Tablet” that we saw listed on the GCF web, equipped with the SoC NVIDIA Tegra K1, would be also a notebook, that is, that we could use the device as a 2 in 1, tablet and a laptop, although with an Android operating System. If these rumors are true, they would certainly give NVIDIA’s portable console great versatility and flexibility, features that were lacking in the previous version and that would allow to use it for much more than games, like web surfing, social networking and a long etc. The Nvidia Shield will hit the US stores in July 27. This device with a 5-inch 720p multitouch screen and the Android Jelly Bean operative system features a Tegra 4 chip capable of running even the highest-end games, and is also able to play your games from your PC with an Nvidia GeForce graphics card via streaming. Its official price was always 350 USD, which received lots or criticism for being too high. Now, NVIDIA has announced a price cut of 50 USD, making the final price of the console 300 USD. Of course, those who pre-ordered it won’t have to pay the initial 350 USD Nvidia was charging merely a few days ago. NVIDIA Shield will cost $350 and will be sent starting June. We finally have official news about NVIDIA Shield with prices, dates and technical features. NVIDIA has published some more information on its blog, for all those who were anxious to know more about this project that seemed like it could take forever. The price will be $350, something that was expected and, although it isn’t exactly cheap it doesn’t make Shield seem unreachable. Preorders can be made starting May 24 and NVIDIA says they’ll start shipping late June. Once you have the Shield, this is what you’ll find inside. The processor is a beast called Tegra 4. It has 7 GPU nuclei, 4 CPU nuclei and 2 GB RAM. We have the command that looks like the Xbox’s and has the same buttons. The screen is touch, 5 inches and with 720p resolution. The sound will come out of speakers centered in the grooves and are supposed to be better than the ones we have in today’s handheld devices. Connectivity will come with Wifi 802.11n 2X2 MIMO and the OS will be Android Jelly Bean without any customizing layers. Then we have 16GB internal memory, GPS, Bluetooth 3.0, mini-HDMI output, micro USB port, MicroSD card slot, a 3.5 jack and all in a weight of 579 grams. So, for now we only have dates and prices for the United States and Canada. There still isn’t any information about its availability in Europe or other places so we’ll see what NVIDIA states. We’ll have to try and see how it provides but it looks like it’s a lot of power compared to the quality of games that are now on Android. This will only skyrocket if there are good games and for now, developers prefer focusing on iOS and then on Android.